With America’s Cup teams drawing on the weighty resources of automotive design, could the superyacht industry learn from this collaborative approach? As the finals of the 35th America’s Cup draw near, it is clear that the new generation of foiling Cup class catamarans have inspired a new approach to collaborative design. One only has to look at the efforts of Sir Ben Ainslie’s Land Rover BAR team to see just how far this road – pun intended – has been followed. With car giant Jaguar Land Rover as Title and Innovation partner for the team, and with ex-McLaren CEO Martin Whitmarsh joining the British team as CEO, the drive toward futuristic design approaches has been impressive. "I think [the America's Cup catamarans] look fantastic and it has a similar sort of emotion to me as Formula 1," says Whitmarsh. "I think they are incredible bits of equipment. Just like F1 cars, they arguably have no practical daily use but they actually become a hotbed for technical development, and I'm sure that a whole range of technical developments from this America's Cup, even with these ultra extreme devices, will flow down into the market." While Land Rover BAR can boast a technical and engineering design team of more than 40 people in house, along with advanced computing facilities to run emulations and fluid dynamics operations, it has been the team’s partnership with leading British engineering firms such as British Aerospace and Jaguar Land Rover (JLR) that has really made the difference. "These boats are expensive, but the traditional development technique was to build it and sail it," Whitmarsh continues. "So what we've got here is the learning from the more mature industries like automotive - the analysis, simulation and virtual testing is quicker, more efficient and greener. We're very fortunate to have a partner like JLR who have incredible supercomputing in their organisation that has always been available to us." 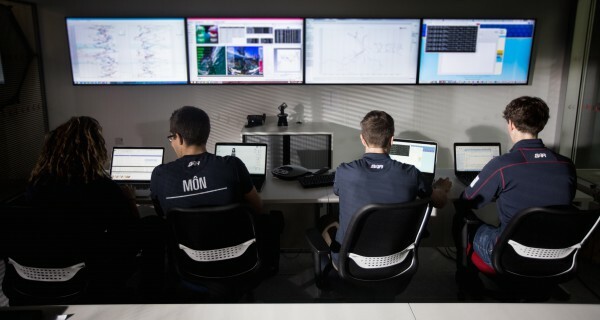 The JLR aerodynamics team have not just brought specialist expertise and access to massive supercomputing power to the design process, but have also helped develop an entirely new approach to both the design and the performance tuning aspects of the Land Rover BAR operation. 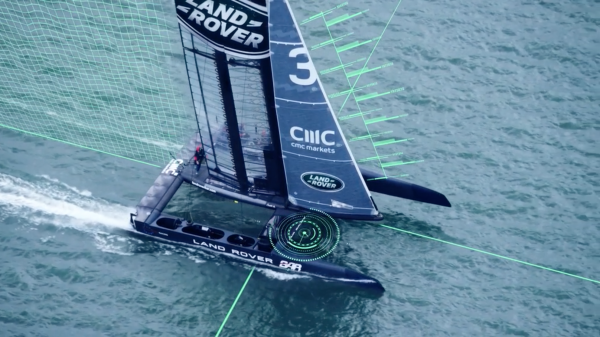 Having developed a unique Fluid Structure Interaction program to study airflow and the aerodynamics of the wing sail, and having introduced advanced machine learning algorithms to systematically analyse hundreds of data points being fed back from the test boats out on the water, JLR is giving a tantalising glimpse at where the future could lie for superyacht design. "We've been able to apply machine learning across the board," says Ian Anderton, thermal and aerodynamics manager at Jaguar Land Rover, "and it can be applied in so any ways in any industry. It's utterly fascinating. For example, the guys collected three months' worth of data on the test boat, turned on machine learning, and the first thing it told them was that the boat would go faster if it's windier. What you're seeing here is something you and I intrinsically understand, but the computer has told you that purely from the data it has been given - it doesn't know about sailing or physics. 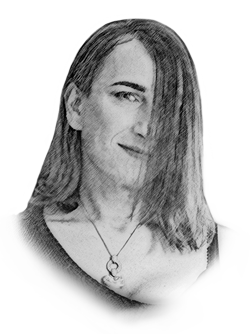 Then you begin to expand that in your mind in terms of the thousands of data points, and machine learning starts to see other patterns and starts to tell you things you couldn't know or infer." With such huge resource and knowledge available, as well as boasting a degree of maturity in technology and design approach several magnitudes above our own industry – JLR can boast £3 billion of research and development investment last year alone – it suggests that these are the sorts of partnerships that could open the door to new design tools and new design methodologies for our own superyacht industry. 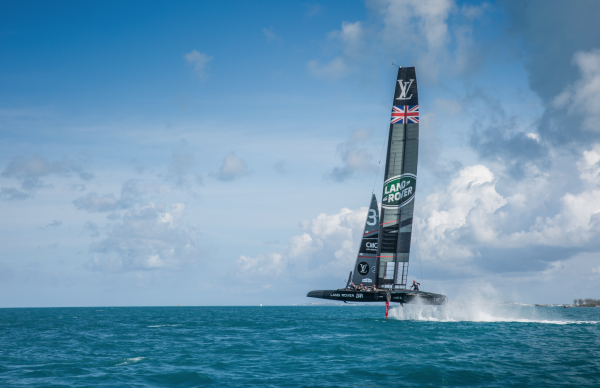 Clearly it has proven of huge benefit to Land Rover BAR, and hopefully will help Sir Ben Ainslie bring the Auld Mug back to Britain for the first time in its 166-year history. A full version of this feature will appear in issue 177 of The Superyacht Report.